Create a memory along with your adorable cupcake pillow! This pattern includes a coloring page so you and your child can design the pillow together before you create it. Print out multiple copies to see which color combinations you both like best! The planning is part of the fun. No sewing machine is required for this pattern. Cupcake is sewn using a simple whipstitch, done by hand. 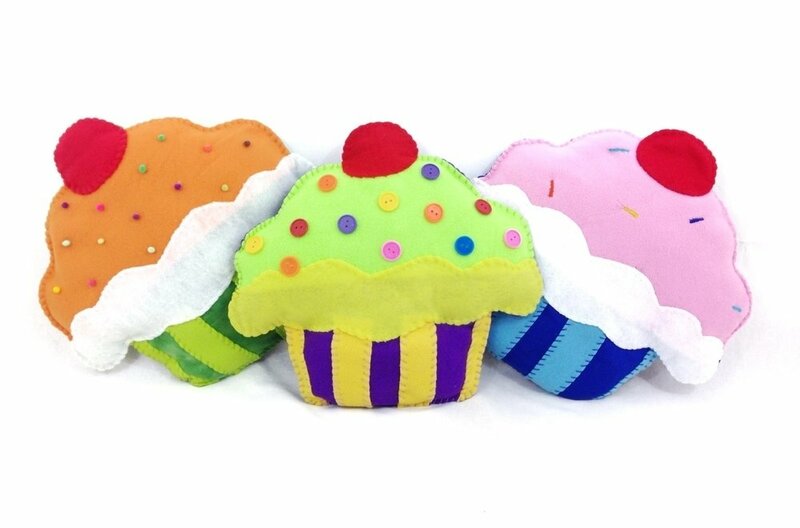 This yummy cupcake is made from fleece or felt fabric. You can add "sprinkles" with a variety of materials. Try embroidery floss, mini pompoms, plastic jewels, buttons, even colored pasta! Get creative!